Thank you for adding the other films to this blog. That’s what things are abt! Geeks helping geeks. That’s the spirit of why we do these things. I always knew that whole meek line was a typo. Most people don’t realize this but the word geek goes back to the Old Testament. The appropriate translation is actually Ramses let my geeks go. The word comes from English dialect geek or geck (meaning a “fool” or “freak”; from Middle Low German Geck). “Geck” is a standard term in modern German and means “fool” or “fop”. The root also survives in the Dutch and Afrikaans adjective gek (“crazy”), as well as some German dialects, and in the Alsatian word Gickeleshut (“jester’s hat”; used during carnival). In 18th century Austria, Gecken were freaks on display in some circuses. In 19th century North America, the term geek referred to a performer in a geek show in a circus, traveling carnival or travelling funfair sideshows (see also freak show). Thank you, Charlie. That $25 will help Vance a lot. Charlie thank you so much brother, i honestly appreciate it! 1. I thought we weren’t allowed to crowd fund anymore. Can someone explain this to me? 2. Neither of those GoFundMe’s are offering rewards. I know on GoFundMe it’s not required but to me it makes me feel like I’m more a part of the project. For example the patches that Alec is giving away and selling for Axanar. with those and the appropriate costume I could cosplay as a member of the axanar crew. I’m not unwilling to donate to fan film projects that don’t offer rewards. but with so many out there to choose from these days I’m more inclined to go with the ones that do. The first one will probably be funded before I get paid on the 1st and I will admit that I did like the look of the dreadnought one so I might go ahead and throw a little bit of cash that one. I’m curious what other people’s opinions are when it comes to crowdfunding fan films with rewards versus those without. Let’s discuss. Now I’ll grant you, some fan films have played a little fast and loose with the “no unlicensed perks” guideline. But remember, these aren’t hard rules. If you break them, that doesn’t mean that you WILL be shut down or sued. It simply means that if you DON’T WANT to be shut down or sued, follow all of the above and avoid the no-no’s. I’ve found that perks are often more appropriate for larger-goal crowd-funders. Not everyone is motivated by simply “doing a good deed,” and sometimes they need a little sumthin’-sumthin’ to push people over the top. And for the larger goals, several different sumthin’-sumthins’ make things even more exciting and help get the numbers up. Another reason that smaller campaigns tend to avoid perks is the cost of creating and fulfilling them. When you’re like Vance and only have 15-20 donors, making a patch or other trinket is usually cost-prohibitive (relatively). Most patches need a minimum order of 50…which is usually $75 or $100. Add in the cost to mail them, and easily 20-25% of the $500 raised goes just to giving people patches. Now, you can try to raise $600 instead, but then you’re trying to hit a higher goal just to cover the cost of perks. Anyway, the point seems to be moot. Vance is over his goal as of this morning…in less than 3 days! Congratulations, dude. That’s exactly it, the larger fundraisers kinda have the extra stuff to send off or can budget to send off things. Ppl like me don’t really do that or have time for that. It would be nice, but not our thing. Id rather focus on the original 30 plus that brought me to the dance, and the 15 films i have unreleased but youve all seen the bts,all on the last 500 i was able to bring in. And then say may i come back to the well for a few more. Of course ive been known to send off a thing or two if someone wanted it just cause, but that was never a perk, that was me being nice cause i no longer needed it. Lol so if ya want something, message me and i can always work something out lol ppl always work with ya. Especially for after productions are over. Cause there are things that we’re for one films only and i’ll never use again, I’d gladly send as a perk. But most ppl in my position, very humble and will always work with ya. It’s just not our focus. Always an honor, my friend. All good points. Thanks guys. And congratulations on another funded film Vance. Maybe I can get in on the next one. I see that! Thanks so much, Robert! Honestly to everyone that shared this post, shared the link, donated to mine or the other gofundme’s, or simply wished us good luck, thank you. That type of support is astronomically huge. When you are a low to no budget production, you have to count on those type of things and it’s hard. It’s easy to get discouraged. But you guys, you guys always come thru for us. And for that, that’s why i love you all. And from the bottom of my heart, i thank you. I have reached more than my needs so i don’t have to cut as many corners as i usually do, and i can ease into things for a better product that i want to put out. When i am done i will be giving back to other films in my own way, as i always try to do, so understand, this is always full circle. And we continue to support each other. 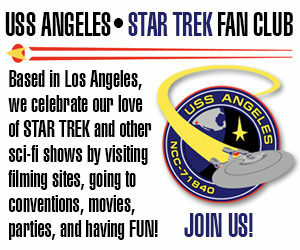 Cause that’s what the idea of star fleet is abt. Thats what star trek is abt. 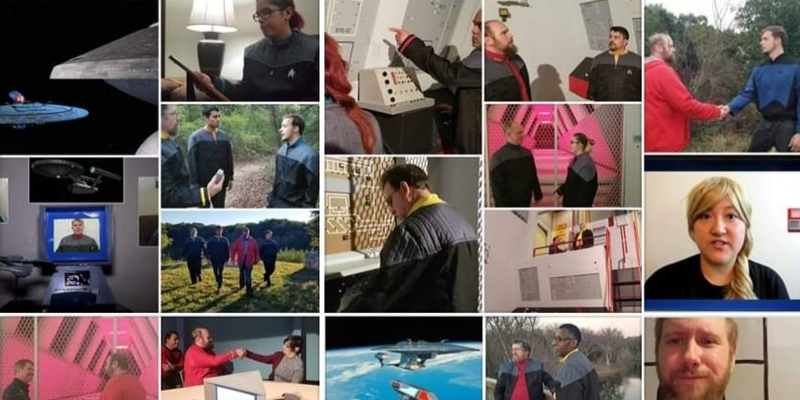 Previous Previous post: NEUTRAL ZONE STUDIOS once again opens their TOS sets to the public for FAN APPRECIATION WEEKEND 2!